This week I participated in the 9th Workshop on Ellipsometry hosted by the University of Twente in Enschede, the Netherlands. 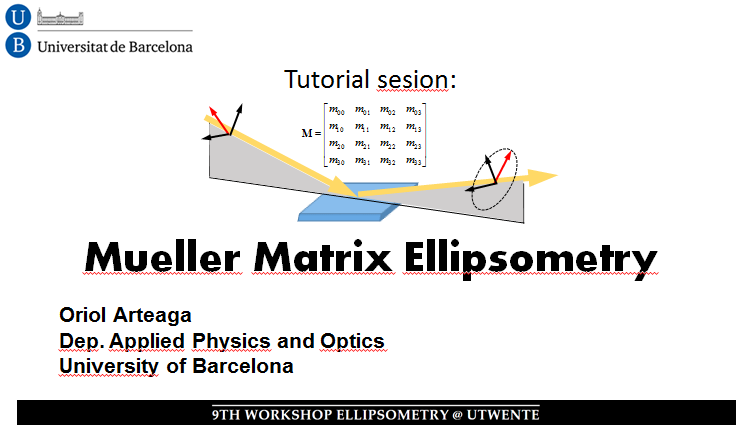 I was invited there to give a tutorial talk on Mueller matrix polarimetry. Here you can download the slides of the presentation in PPTX or PDF formats. This entry was posted in Uncategorized on February 26, 2015 by loiro.